“Are there any hostels in Cuba?” This is a question frequently asked by backpackers traveling to the Caribbean Island of Cuba. And indeed, hostel travelers and backpackers need to consider some important points in order to travel on a budget and in a social way. Here are 6 basic backpacker tips to make your Cuba travel experience an awesome one. 1. Check the correct type of property: hostel? There are indeed shared dorms in a couple of hostels in Cuba, even just a few. Private houses renting private rooms are more common. Those houses are called “casas particulares”. These houses are usually managed by families that own licenses to legally rent rooms or beds to Cuba travelers and tend to be cozy and small. 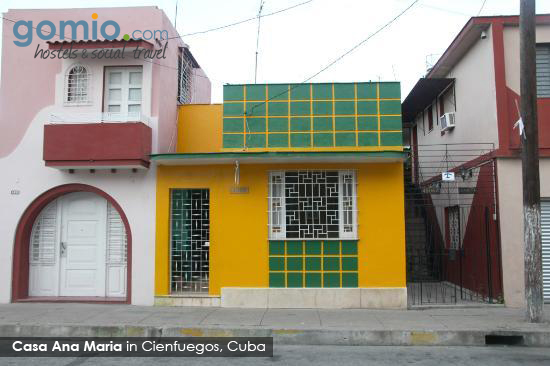 Gomio calls these types of accommodation “Cuban Style Hostels” due to the atmosphere of an easy-going, cozy hostel. You can get in touch with Cuban locals, other travelers, and experience a fully hostel lifestyle. Therefore: Stay at a Casa Particular or Hostel, choose the correct room type, and let the Cuban experience begin. 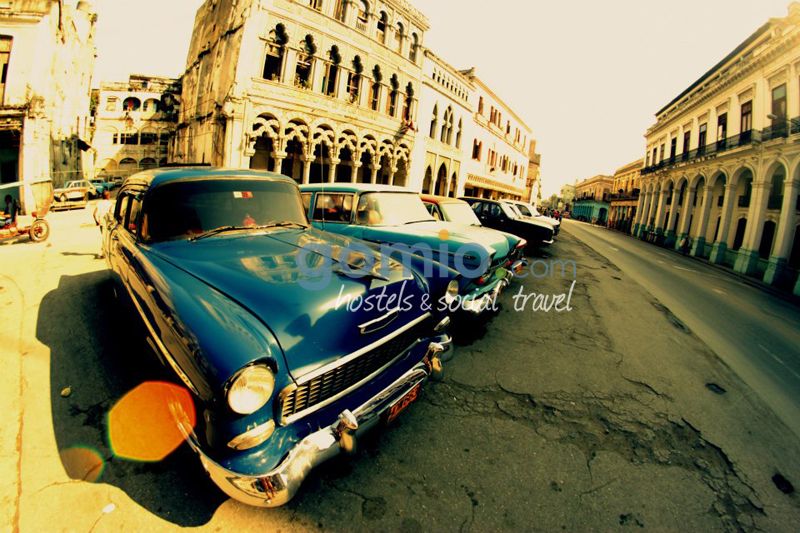 You can find all Hostels and Casas Particulares in Cuba here on Gomio.com. It’s always recommended to book your hostel in Cuba in advance instead of arriving and hoping for good luck. This way your booking is secure, you pay less, and finally the hostel itself may offer a pick-up service from the airport, or bus station. This usually does not cost a lot of money and depending on your luggage, arrival time, stress level it will be worth it. When you are jumping into a taxi asking for a specific hostel or address some taxi drivers might try to tell you “This address no longer exists” or “this hostel does not exist anymore”. Don’t let them fool you! They are working with other local accommodations and offer their help by bringing you to the property they are working with. It’s a common scam to fool tourists in Cuba; don’t fall for this! You might think about Cuba as a cheap destination, but really, it’s not. The costs can be similar to costs in the United States, although Cuba is cheaper than any other Caribbean Island loaded with tourists. Anyhow, the minimum budget would be around $30-$40 U.S. dollars. We are sure you’ve already read this in other forums, posts and websites; and yes, it’s a basic backpacker tip for Cuba. Try to learn some basic Spanish sentences, so you can verbally communicate exactly what you want and how much you want to pay for this type of service. After all, you value your travel budget and you don’t want to spend double the price just because you did not know the dollar figures in Spanish. Cuba works with two currencies: the local currency for locals (CUP) and the currency for travelers (CUC). You can find more information about the currencies in Cuba here. Therefore it can be confusing if the prices are shown in CUP or CUC. Don’t be shy and ask! You don’t want to realize afterwards you spend 24 times more on the price than you assumed. — This post was created by Gomio.com, the social hostel booking platform for backpackers and travelers. Gomio.com offers a free hostel booking service and the travel application Godashboard. How interesting! I have taken Cuban dance classes from a young cubana dancer for many years and I enjoy hearing about her life growing up in Castro’s Cuba; so different from other Latino countries or the islands. Her parents were card carrying communists and Christmas or indeed any religious connection was unknown. Yismari trained with Russian ballerinas as well as Cuban salsa dancers from an early age. I have long wanted to go to Cuba. It is harder for us to get there however, than for Canadians. Cinda, there are a lot of extremely talented people in Cuba. Almost everyone I’ve met in Cuba holds a Masters or PhD. I know there are a few Americans that are able to travel there. I wonder how they get around it. Any ideas? I’ve been to Cuba 3 times, Havana, Cayo Coco, Varadero, and early this February I’ll be in Holguin. For a brief time, and up until a few months ago, you could go on an “artistic visa”. That is if you were visiting for a cultural purpose – I think with a group. Otherwise you have to fly to Mexico or some other country, buy a ticket there and come home the same way. I’m not sure what happens if the cubanos want to stamp your U.S passport! Hopefully this will all be worked out in the near future. Thanks for the heads up on the cab scam! I always like to be aware of things like that. In general, I am super paranoid and always assume everything is a scam! The currency has me confused though- different one for locals than the tourists? I’ve never heard of such a thing before. Rhonda, the issue with the currency is one of the reasons why it’s hard to make a good living in Cuba. Not only do tourists use a different currency, but if you’re a Cuban you get paid in Cuban Pesos but when you purchase 90% of the products and services you pay in Cuban Dollars. It’s really hard and I hope that it changes soon. Those are really interesting replies so far! About the “artistic Visa” and the dance classes. Thanks so much for checking out our guest blog, and thanks so much to you, Will, for featuring us! You rock! Thanks Matt! I would love to write a guest blog. Just let me know when! Cheers! Hi Cinda, I would love to! Right now I’m afraid I won’t be able to, however. I am still preparing for the move and I’ll be going to Cuba for a week early February. Would it be okay with you if I do it mid March? I would really like to do it once I’m in Colombia. Let me know! Saludos! Oh Cuba! I’ll go there some time. In the meantime I’ll keep checking articles like this one. I bet it will be very useful. thanks for the tips, next year i must visit cuba! My pleasure John. I hope you make it there soon. It is a really great blog post Will, I must say. You have simply summed up all the essential and instant tips for those who are willing to travel to Cuba in near future! Thank you VERY much Zoe! Glad you found it useful. Cheers!